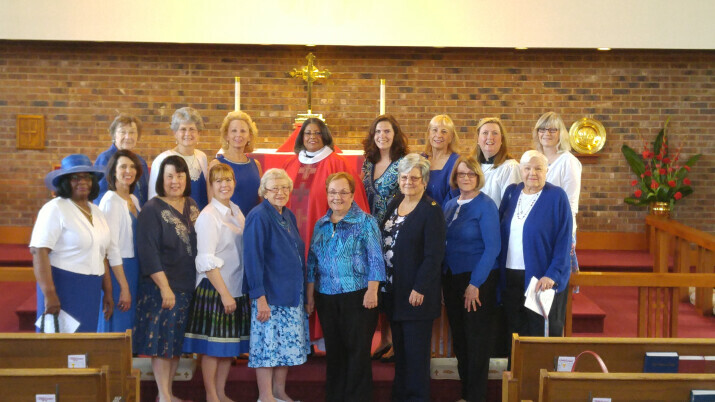 The St. John's Chapter of the Daughters of the King meets monthly in prayer and fellowship. Some information about the order is listed below; if you would like specific information about St. John's Chapter, please contact the church office at 630-355-0467 to be put in touch with the chapter leadership. Who Are Daughters of the King? A Christian order is a community of men or women living under a religious rule. Because Daughters of the King accept a Rule of Life, we define ourselves as an order, not an organization. Our community is found primarily in our local chapters, but it extends around the world. We don’t just enroll as members and attend meetings. After a three-month period of study and discernment, each new member takes lifetime vows to uphold the two Rules of the Order, the Rule of Prayer and the Rule of Service. Membership in the Order is open to women at every stage of life. The diversity of different ages strengthens and enriches our adult, or senior, Daughters of the King chapters. Younger women benefit from the discipleship of experienced spiritual mentors, and older women are invigorated by the fresh faith and energy of youth. Many senior chapters help spread the Kingdom to the next generation by sponsoring and supporting a Junior Daughters of the King chapter at their churches.